A 22-year-old who dreamed of joining the military, a hero officer, a student and a recent college grad. These are the first victims identified from the California bar shooting. Twelve people were killed after a Marine combat veteran opened fire during college night at a country music bar in Southern California. Investigators are still working to identify all of the victims and notify their families. As more names are released publicly they will be added below. Ventura County Sheriff's Sgt. Ron Helus was shot late Wednesday when he entered the Borderline Bar & Grill in Thousand Oaks, Calif., after reports of a shooting. 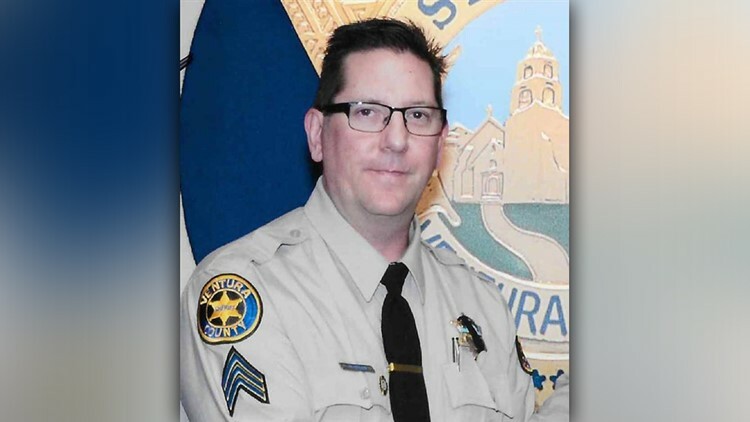 He is being described as a "cop's cop" that would take on some of the toughest assignments and was on the SWAT team, according to a friend, Sgt. Eric Buschow. The Ventura County Sheriff said the report of the shooting came as Helus was on the phone with his wife. The sheriff said Helus told her, "Hey I gotta go handle a call. I love you. I'll talk to you later." Colleagues of Helus described him as a friend and an exceptional man and officer. Helus was married with a grown son and took up fly fishing a few years ago, Buschow said. He loved fishing in the Sierra Nevada mountains with his son. According to his father, 22-year-old Cody Coffman is among the 12 people who died in the shooting. Jason Coffman told reporters the last thing he told his son Cody was "I love you." "I've been here fighting for him all morning long, and we did just get the news that he was one of the 11 killed last night. He was Cody Coffman, my first-born son," Jason Coffman tearfully described. He added that Cody Coffman had dreams of joining the military and had been talking to Army recruiters. Before authorities told him Cody was one of the victims Jason Coffman had said he was afraid his son "went toward the action" because he was the type of person who would stand up for others. 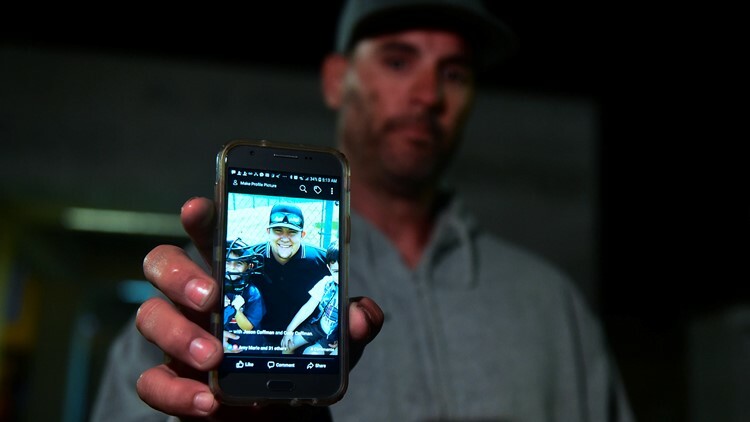 Jason Coffman displays a photo of his son Cody outside the Thousands Oaks Teene Center where he came hoping to find his son who was at the Borderline Bar and Grill in Thousand Oaks, California, on November 8, 2018. 23-year-old Justin Meek was killed in Wednesday night's shooting, according to a statement on Thursday from California Lutheran University. The statement said Meek was a recent graduate of the university, which is located a few miles from the Borderline Bar & Grill. "Meek heroically saved lives in the incident," the statement said. The university planned on holding several memorials and gatherings throughout the day to remember the victims. Alaina Housley, a freshman at Pepperdine University, was killed during the attack at the Borderline Bar & Grill on Wednesday night, her aunt and "The Real" host Tamera Mowry-Housley said in a statement. A statement issued to USA TODAY on behalf of Mowry-Housley and her husband, former Fox News correspondent Adam Housley, confirmed their niece was a victim in the mass shooting. "Our hearts are broken. We just learned that our niece Alaina was one of the victims of last night’s shooting at Borderline bar in Thousand Oaks," the couple stated via their joint representative, Chantal Artur. "Alaina was an incredible young woman with so much life ahead of her and we are devastated that her life was cut short in this manner. We thank everyone for your prayers and ask for privacy at this time." Earlier Thursday, the couple took to social media to frantically look for Alaina. Mowry-Housley gushed over her niece on Instagram in March of last year. Noel Sparks was among the victims of the Thousand Oaks shooting, according to a post by the United Methodist Church Westlake Village. The Orange County Register said Sparks was a 21-year-old Moorpark college student. 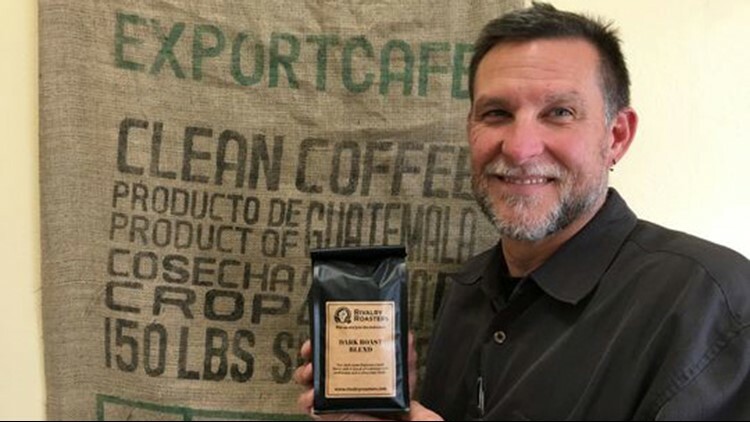 Sean Adler, was a bouncer at the Borderline Bar & Grill and recently opened a coffee shop, according to the Ventura County Star. He previously served as a strength coach at Royal Wrestling, the group explained in a post. They described him as positive, motivational, and always wanted "the best for the people around him." Telemachus Orfanos survived the Las Vegas shooting but was killed when a gunman opened fire at the Borderline Bar & Grill, his mother told reporters. "I hope to God no one sends me anymore prayers. I want gun control. No more guns!" Orfanos was the son of the Thousand Oaks High School track and field high jump coach, according to the team's Twitter post. Dan Manrique was a 33-year-old former Marine Corps radio operator, according to Task & Purpose. A friend told the military news outlet that Manrique was supposed to join friends at the bar. According to Team RWB, Manrique was a Marine Corps veteran who served with the 2nd Combat Engineer Battalion, 2nd Marine Division, as a Radio Operator, and deployed to the Middle East in 2007 with the 26th Marine Expeditionary Unit. Team RWB serves as an organization to connect American veterans with one another and their community. Manrique served as Chapter Captain for the Ventura County Team RWB Chapter. His sister, Gladys Koscak, confirmed on Facebook Thursday night that her brother was one of the victims. Kristina Morisette, 20, worked as a cashier at Borderline where, as one friend put it on Facebook, her smile "welcomed me at the door each night." Friend Devin Cook wrote on her Facebook page: "You were just the sweetest girl I’ve ever met... you are the last person that deserved such a sudden fate. RIP beauty. Thank you for always putting a smile on my face." The Simi Valley High School graduate's favorite quote, according to her Facebook page: "Don't over think it just let it go." Morisette's world revolved around her friends, her parents Michael and Martha told the Los Angeles Times. With money she saved from working at Borderline, she had recently bought her first car: a 2017 Jeep Renegade. She had recently told her parents she wanted to apply for an animal training program in Austin. "We didn’t want her life to end," her mother told the newspaper. "But we don’t want her memories now to end, either." Dunham, 21, was at Borderline that night with his friend Blake Dingman, who also died. Both of them were off-road enthusiasts. No Sways Offroad organized a memorial off-road meet for Monday to honor "our fallen brothers Blake and Jake." "I know we're all heartbroken so let's send them off in a way they'd want," the organizers wrote on Instagram. A recent graduate of Conejo Valley High School, Dunham persevered in receiving his diploma despite an accident as a young child that robbed him of his sight in one eye, said Jason Rosebaugh, one of his teachers. "Jacob was well liked by his peers and will be remembered for his perseverance," Rosebaugh said. Dunham was not particularly fond of school, but loved his truck, which he bought with savings from a part-time job and fixed up with his dad. "He was really proud of that truck and wanted to get diploma and move onto mechanic school," Rosebaugh said. Dunham's father, Ken, told NBC News early Thursday that he had tried repeatedly to reach his son after the shootings. "I keep calling it but there's no answer," he said. Ken Dunham declined to speak with USA TODAY. Blake Dingman, 21, a Newbury Park resident, was an avid off-roader and played baseball at Hillcrest Christian School in Thousand Oaks, according to the Redland’s Daily Facts, a local newspaper. "We were really proud of him," his aunt Janet Dingman told the Press-Enterprise. "He was a really, fun, energetic and loving nephew." His Facebook page shows him next to a truck that’s in midair. On his Instagram feed, Blake’s brother Aidan posted that his life was changed forever when he heard news of the shootings at Borderline. Mark "Marky" Meza, who grew up in Santa Barbara and Carpinteria and and graduated from Carpinteria High School, worked at Borderline as a busboy and food runner and was just shy of his 21st birthday, his family told a Santa Barbara television station. "Marky was a loving and wonderful young man who was full of life and ambition," Meza’s family said in a statement to KEYT. "His family is devastated by his loss. Marky would have turned 21 on November 19. His family asks for peace and respect at this time to allow them to grieve privately." On Facebook, his mother simply wrote: "My heart has never been so broken." This story will be updated as more victims are identified.